Come and visit our stand to learn about our latest proposals in droppers and our extensive catalogue of standards, easy to customize thanks to our wide range of in-house decoration techniques. 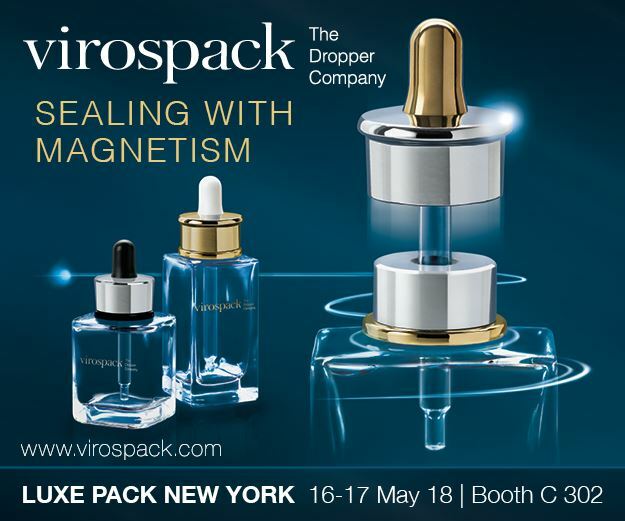 This edition, on the 16th and 17th of May, The Dropper Company is presenting a new dropper concept fully developed in our facilities that offers innovation and technology with an exclusive and patented magnetic sealing system. It will undoubtedly become a trendsetter in cosmetic packaging. Virospack is committed to service and innovation, offering bespoke solutions to our customers.